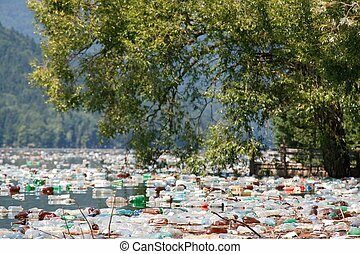 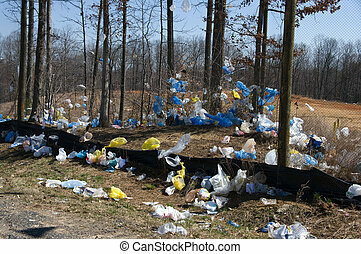 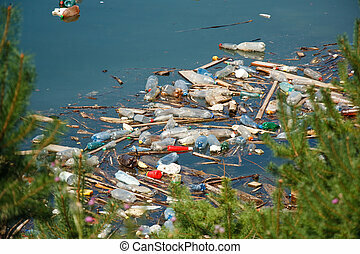 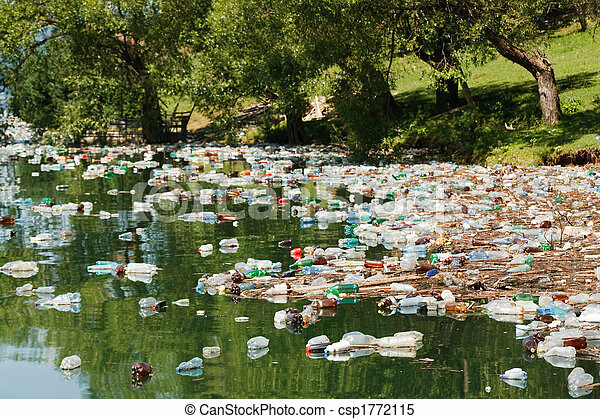 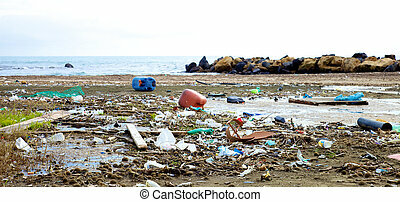 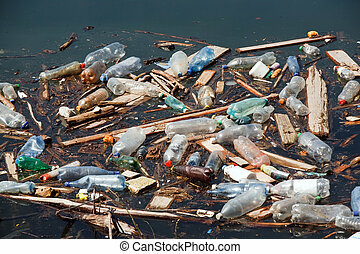 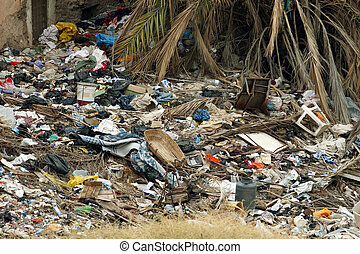 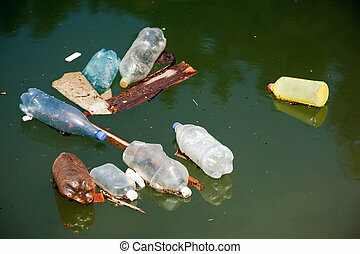 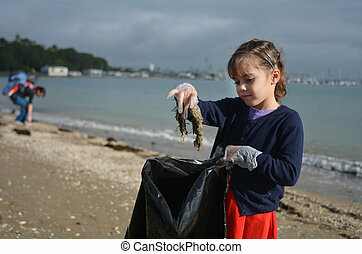 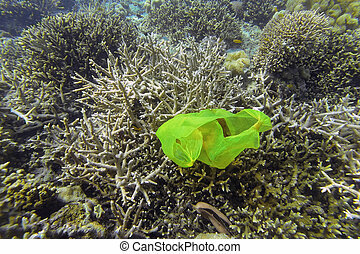 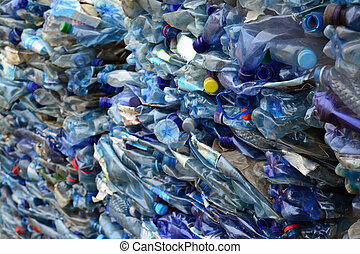 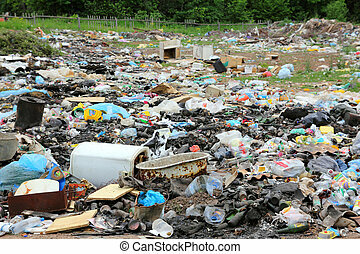 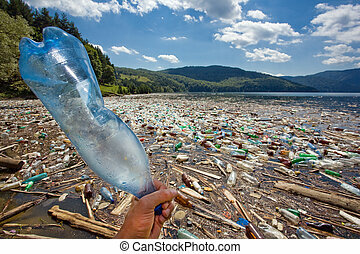 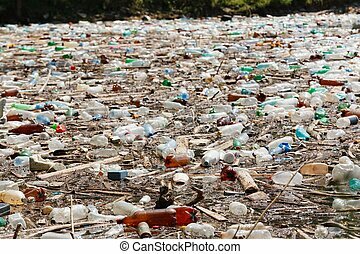 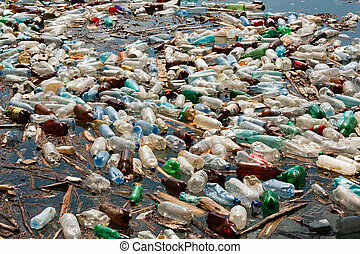 Heavy plastic pollution in wild beautiful landscape. 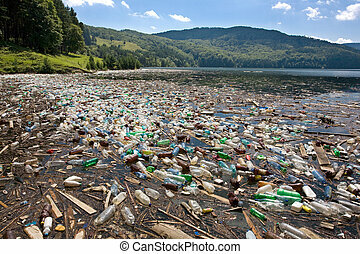 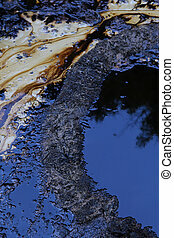 pollution of the nature. 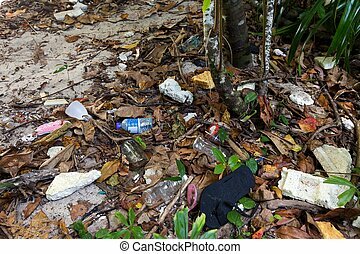 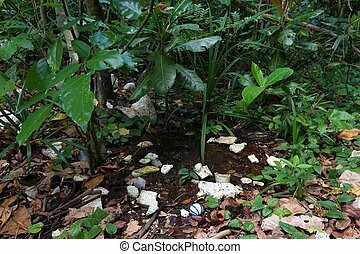 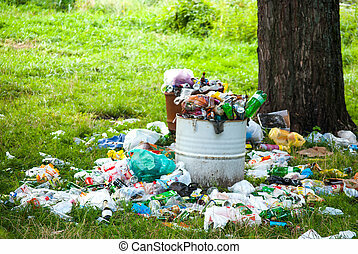 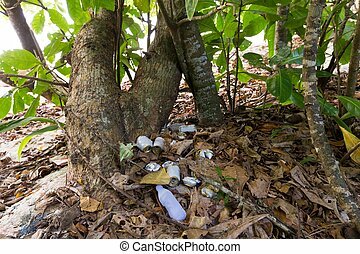 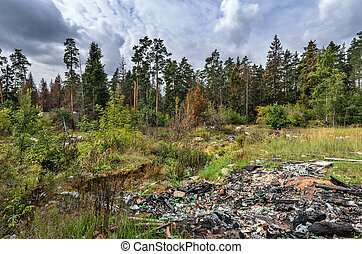 garbage in the forest. 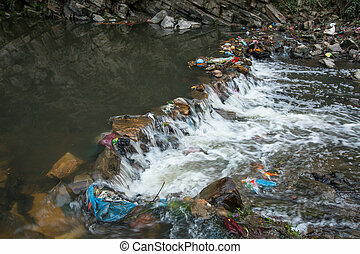 Environmental pollution in the Himalayas. 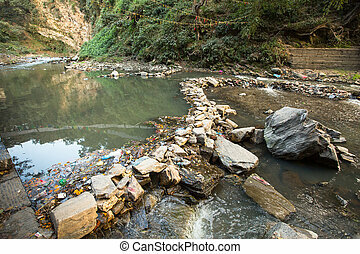 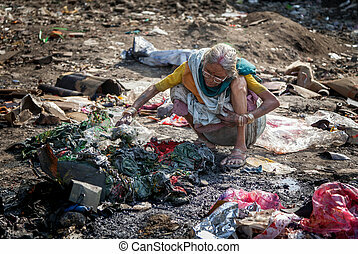 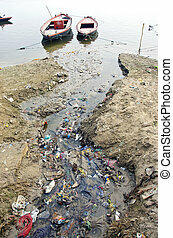 Garbage in the water of Bagmati river. 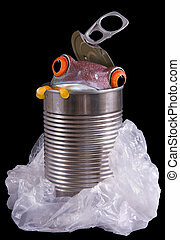 A red-eyed tree frog is peeking out of a discarded metal can surrounded by a plastic bag. 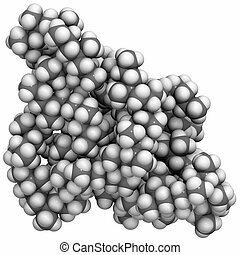 Molecular structure of a particle,of polypropylene (PP), a popular plastic used to manufacture textiles, plastic bags and many other articles. 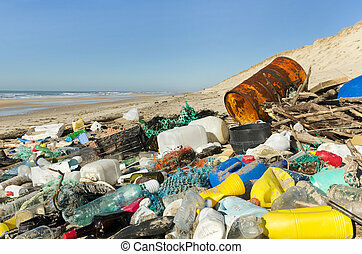 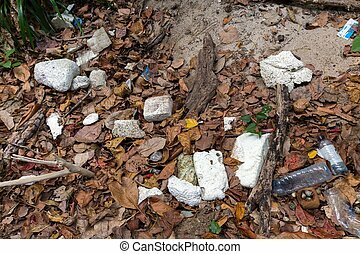 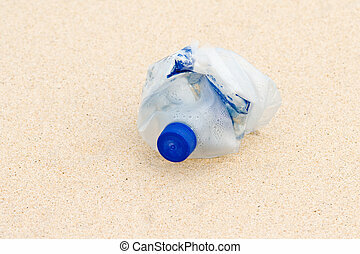 Rubbish plastic pollution on a tropical beach .